If you have thick and heavy hair then you probably struggle with the problem of choosing the proper type of care. Majority of masks and balms and most of natural oils simply weigh your strands down. Nonetheless, you should never forget to nourish your wisps. Strong, thick wisps also require protection and care - otherwise it will become weakened, dull and start to fall out. Additionally, hair ends will begin to split and the scalp will be oily. The key is to choose proper cosmetics that are especially designed for this particular hair type. The best solution is to purchase a good hair butter. 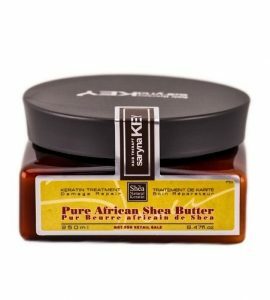 Hair butters are a group of natural oils that have some unique properties. Coconut oil, shea butter, babassu, murumuru, monoi or palm oil are a group of substances that have the features of oils and after warming them up (for example in a water bath) they all become liquid (in a room temperature or lower they are solid, resembling nothing else, just butter). Those are oils with the tendency to change their state of matter, depending on the temperature at which they appear. For hair care, it is recommended to heat them up by placing in warm water. What components will we find in hair butters? Hair butters - as well as all other oils - comprise fatty acids particles. The difference is that butters include a specified group of fatty acids - saturated acids, such as: lauric, myristic, palmitic, stearic or peanut oil. They consist of small molecules that penetrate easily into the interior of coarse hair with tightly adhering scales. 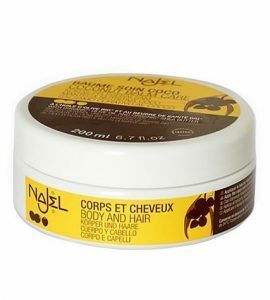 Hair butters - for what porosity? Hair oils - because of the penetrating properties and tiny particles they are built with - they are suitable for low porosity hair that is thick and heavy, which scales adhering to the hair shaft. Butter (especially in its concentrated form) looks as a greasy and heavy substance which can overburden strands. Meanwhile, it is quite the opposite: when heated in the palms of your hands, solid consistency changes into oil. Such product has very good absorbency. 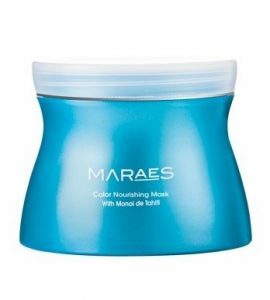 Moreover, it does not leave, either on hair or the scalp, an oily and heavy layer. 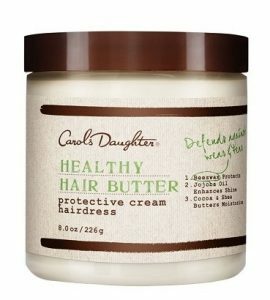 Low porosity hair – only butters or something else, something more? Undoubtedly, every kind of porosity has its own set of rules and requires various fatty acids to simply absorb into the hair and not overburden it. 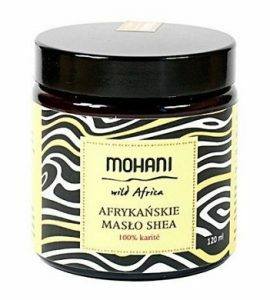 Hair butters are most often abound in saturated fatty acids and are therefore able to nourish thick, heavy, sleek hair with tightly bound cuticle layer. This kind of hair is not condemned to dense, concentrated substances like hair butters. There are oils with majority of saturated fatty acids that do not become solid at low temperatures but are still liquid. 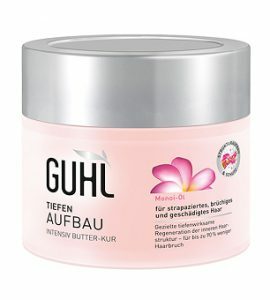 How to choose the best hair butter? 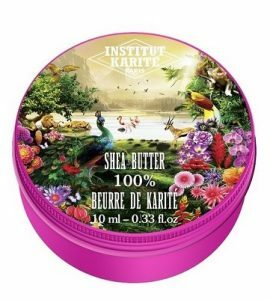 All you need to do is to read the following ranking that presents the best available hair butters. 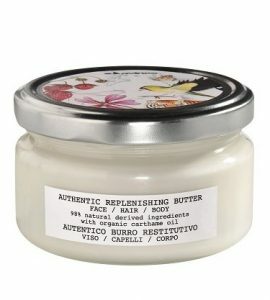 The list comprise both pure butters as well as drugstore products that are a blend of different oils, butters and other valuable substances. Which one of them will nourish your hair best? Is it efficient? Is the selection of components appropriate? Check for yourself! 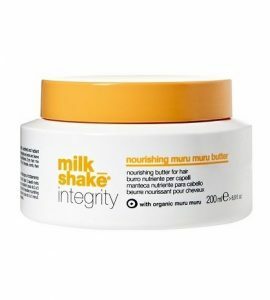 Appearance, capacity: Milk Shake Integrity is a product that comes in a white plastic jar with a yellow lid. It has the capacity of 200 ml and is rather efficient. How should you use hair butters? Hair butters are very easy to use...in various ways. The buttery consistency changes into liquid after warming up. This allows to use the product in both states – one solid, perfect as a balm, or mask, and the second one – oily ideal as a hair ends serum or used in hair oiling treatment (applied to both hair and scalp) and as an addition to mists, scalp lotions, rinses etc. hair balm: warm up the butter in your hands and apply to damp hair after washing. You might as well rinse it or leave it to be absorbed. Butters have small particles that will not weigh strands down. Of course, provided that you will not apply too much of it to your wisps (those are still oils after all). conditioner providing shine (for dry hair) – Apply a warmed up oil to your strands, starting from the ear level downwards. 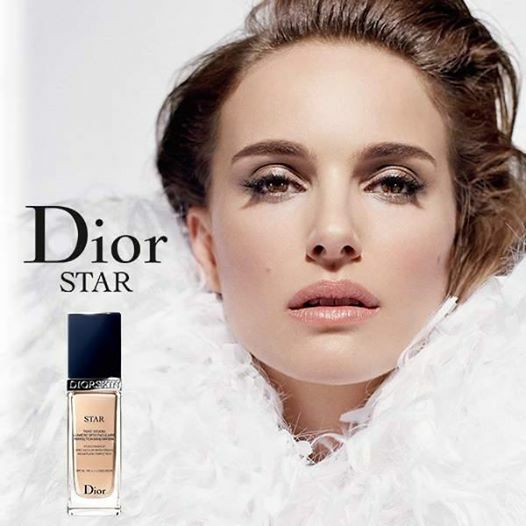 Try not to apply too much of the product to avoid an unnatural effect. Oil will be absorbed and build a protective coating on the surface at the same time. serum for split ends – if you want to add shine and prevent split ends – apply a small amount of your favourite butter just to your ends. Try to rub it gently to facilitate penetrating inside. Therefore, hair ends will be protected from damages (including mechanical). overnight hair regenerating treatment – the so-called hair oiling- you can heat up the butter in the palms of your hands to change its form into oil. You might as well do a water bath. About 5 ml of liquid form of the butter should be enough for scalp and hair. Make sure to distribute is evenly and perform a scalp massage. Next, put on a shower cap and cover everything with a towel. Keep such a warm compress on the head for at least an hour (the longer you leave it in, the stronger the regeneration will be). However, if you oil your strands for the first time, shorten the time in order to check how this particular butter works on your hair and whether the concentration of fatty acids is suitable for your type of wisps. What are the results? If the butter is suitable for your hair, it will be soft, resilient, shiny, fresh and pleasant to the touch – in this case, you can gradually increase the time of oiling. What is more, butter in the liquid form will also be a great addition to homemade hair care products, such as mists – simply add a teaspoon of oil to a nettle or horsetail infusion. Therefore, they have different concentration of fatty acids. If often happens that one type of butter will bring spectacular effects for your hair, however, your friend might not be so happy with the results on her hair. It all depends on the type of strands you have. We can distinguish different types of butter as well as hair. You should be aware of the fact that you will not find two people with the same the same hair structure. Our strands are unique, just like fingerprints. This is the reason why you should always carefully observe how they react to certain cosmetics, oils and all substances. Sometimes it is just better to buy a well-composed mix of essential oils that provide comprehensive care for hair than to disappoint yourself after applying one particular, which is a complete disaster for the wisps. Appearance: White, greasy butter with a subtle coconut flavor.